A plugin to send more charming, efficient and functional emails! 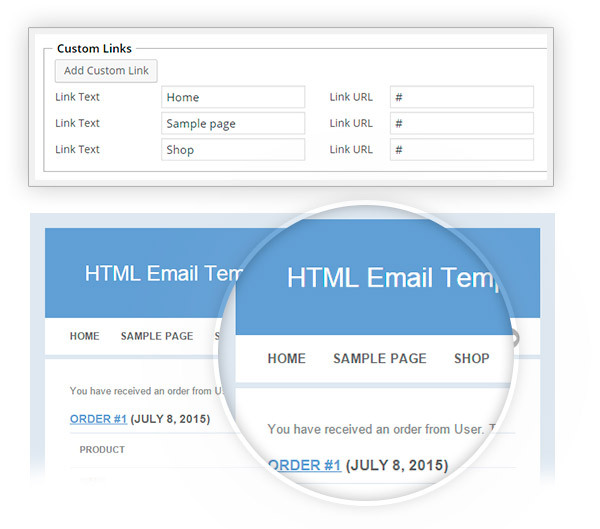 YITH WooCommerce Email Templates allows the advanced customization of the WooCommerce standard emails (welcome emails after the registration and confirmation email after a purchase) sent to your shop users.  You will be free to add the logo of your activity, set colors and typography easily and quickly – to give a graphic coherence between your site style and the email your users will receive – and choose among one of the examples designed by our UX designers according to your needs. You can also change texts and colors, in order to make your communications unique and charming. 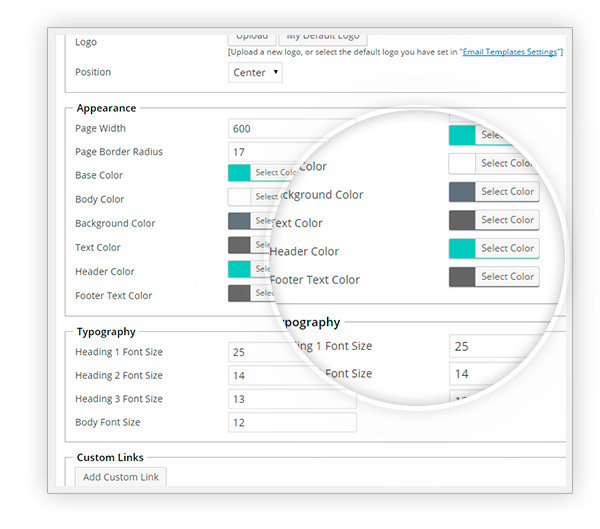 A solid base you can use to create your customized templates! Change colors and typography of the email content, and use the preview to understand if that is the result you want. Add the entries you want and link them to useful resources for your users. 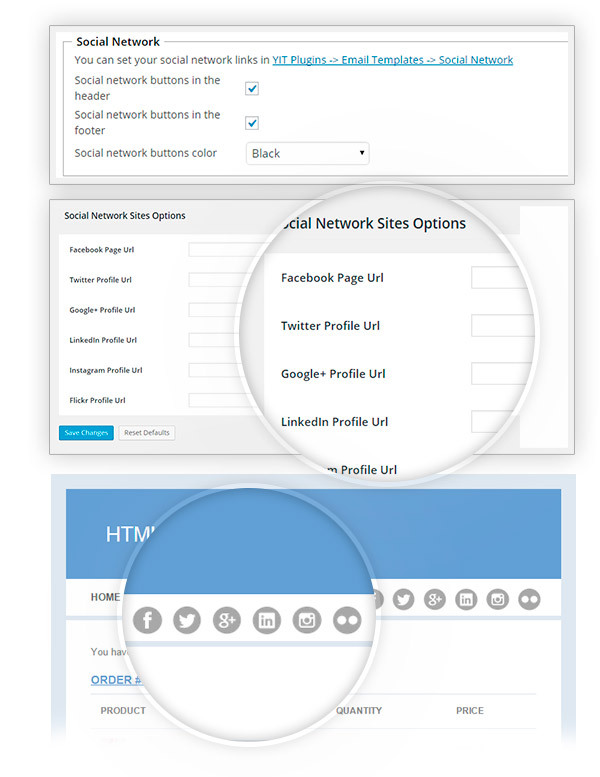 Give your users the freedom to access to social network sites with a simple click! Write new texts and add the logo you want to create the template for your needs! Very happy!Love this, out with the boring once and in with the new! Finally, I can show the creativity of my website and work also in the emails. 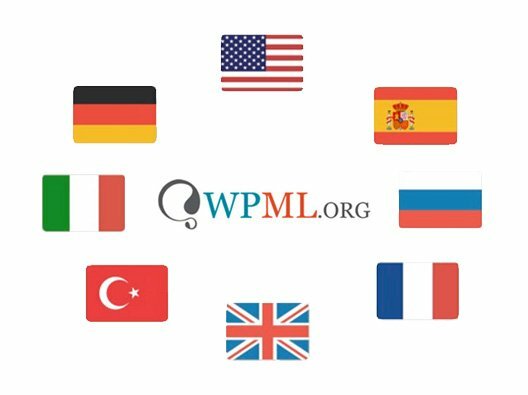 I'm afraid we've not tried it with WCMp plugin. 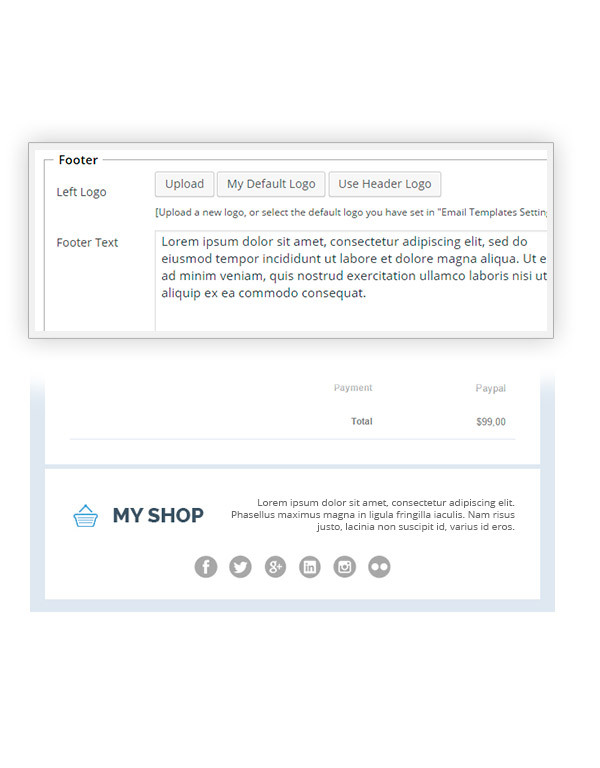 the YITH WooCommerce Email Templates allows you to give style to the WooCommerce email templates. 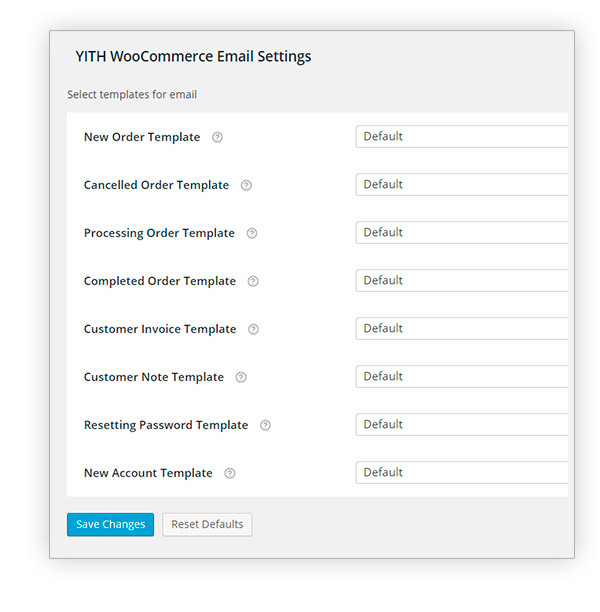 If WCMp plugin uses the standard WooCommerce emails correctly, it will be automatically integrated with YITH WooCommerce Email Templates. where $email is the object of the current email. If WCMp plugin follows the above-mentioned WooCommerce standards, its emails will be stylized correctly by YITH WooCommerce Email Templates. Otherwise, YITH WooCommerce Email Templates gives style also to the WordPress emails, so if WCMp plugin uses wp_email() correctly, it should work fine! However, we cannot grant you that will work fine since we've not tested them together. I hope you understand. Yes, you can choose the recipients of the email for Custom Order Status. Please note: you CANNOT for builtin WooCommerce statuses (you can only do this for CUSTOM statuses). Prices are shown by WooCommerce. To change the decimal separator you should edit the related settings in WooCommerce -> Settings -> Decimal separator! there is a "Preview Template" button that shows an email preview. Furthermore, you can send this preview email to a real email address in the Email Template settings. 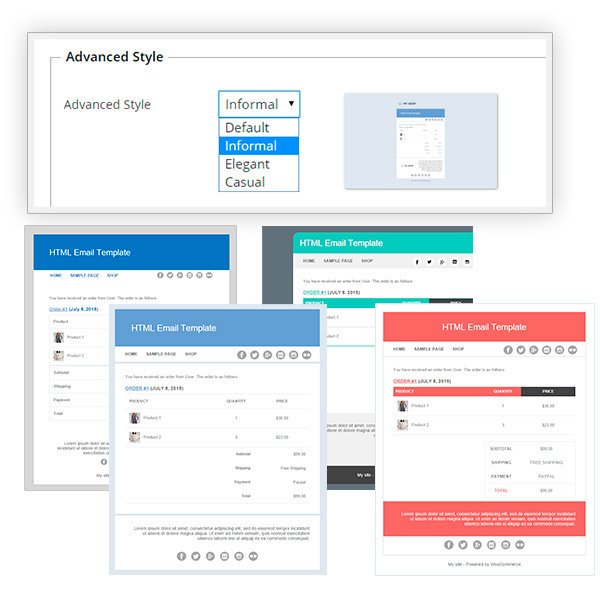 To create a template you should go to Email Templates menu -> New Email Template; here (on bottom) you can find the Preview Template button and the Test Email field to send the preview to a real email address.